Maddie’s Summergrove wedding. Florals by Beautiflora. Photograph by Gabriel Veit. Please write any specific timed deliveries or the latest we can deliver by. 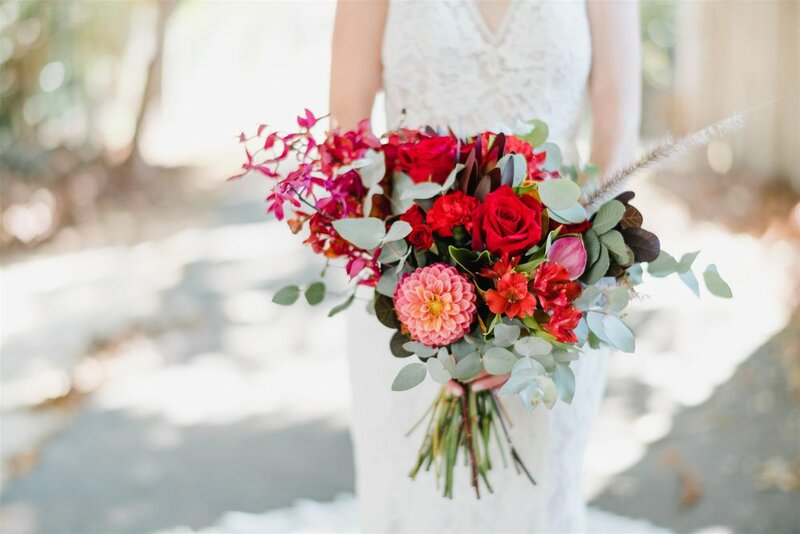 A gorgeous selection of native florals and foliage dotted with soft seasonal blooms. Keeping things minimal and simplistic with a colour palette of white, ivory, cream & sage using stunning seasonal blooms and foliage. This sculptural bouquet uses a mix of tropical florals and lush greenery. In harmony with nature, this bouquet offers organic movement and flow using wild flowers and soft seasonal blooms. This bouquet incorporates stunning seasonal blooms and foliage, creating them into a symmetrical and classical shape. Gorgeous rose stems made into a bouquet. Thank you for your order. We will add these orders to the Elements of Byron account. Please note our business days are Monday- Saturday. If this is a same day delivery, please call our store to confirm your order. Please order same day deliveries before 2pm if possible.